Samsung has announced a new Gear 360 camera capable of shooting 4K resolution 360-degree video. The camera is the successor to last year’s Gear 360 and has been completely overhauled. Samsung’s new camera is lightweight and more compact than the first-generation shooter, but also lacks the expandable built-in tripod of the original Gear 360. 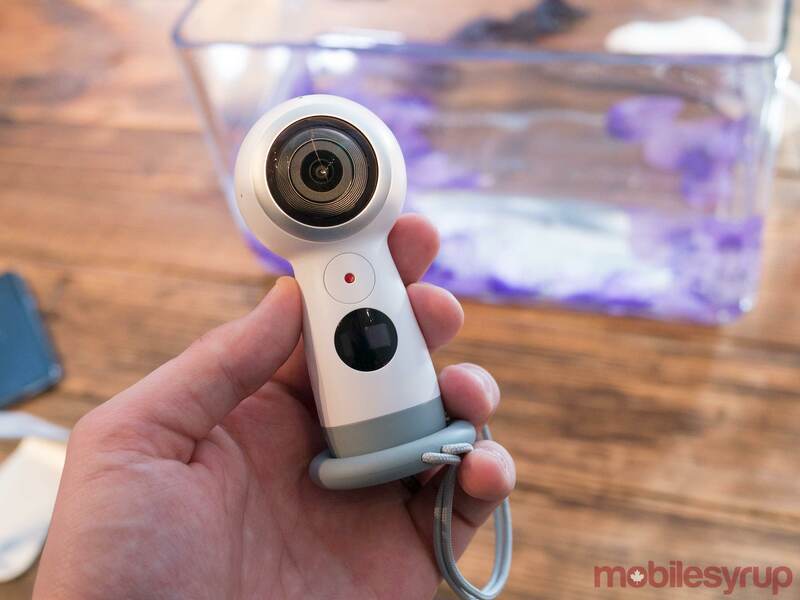 Specs wise, the new Gear 360 offers a number of improvements over the first generation device, including 4K resolution recording, dual 8.4-megapixel image sensors with f/2.2 apertures (last year’s 360-camera featured a dual CMOS 15-megapixel sensor). Perhaps most notably, the new Gear 360 is capable of livestreaming in 360-degree content in 4K (3840 × 2160 pixels) directly to platforms like Facebook and YouTube. While I only spent a brief period of time with the new Gear 360 at a hands-on event, the camera seems to shoot better quality photos and video than its predecessor, especially under low light conditions. The build quality of the 360 camera, however, seems to be a step below last years Gear 360. The camera is also less stable because of its lack of an expandable tripod. The device is compatible with the Samsung Galaxy S8, S8+, S7, S7 Edge, Note 5, S6 Edge+, S6, S6 Edge, Galaxy S5, Galaxy A7. Samsung also says that the new Gear 360 is compatible with the iPhone 7, iPhone 7 Plus, iPhone 6s, iPhone 6s Plus iPhone SE and Windows and Mac computers. It’s unclear how much the new Gear 360 will cost in Canada or when it will be released. Compatibility: Galaxy S8, Galaxy S8+, S7, S7 Edge, Note 5, S6 Edge+, S6, S6 Edge, A5, A7, Android 5.0 or later, iPhone 7, iPhone 7 Plus, 6s, 6s Plus, SE, iOS 10.0 or later, Windows, macOS.